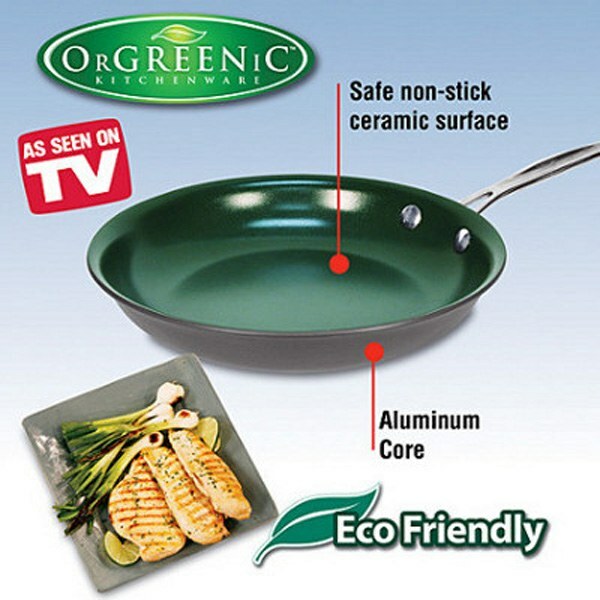 Orgreenic Ceramic non-stick frying pan that allows you to broil, bake, braise, fry, steam or sauce without using oil or grease. Cook healthier meals using these green pans from Orgreenic Kitchenware. Green ceramic nonstick interior cooking surface ensures effortless food release and allows you to whip up tasty meals without using oil, butter or grease. Available in 10" and 12".